Every term Pinpoint gathers parents’ views across Cambridgeshire on a hot topic affecting their children and young people with additional needs and disabilities. Here’s what we have been working on. Click the links to read more about the issues raised and the action points. Read the report from the March meetings on Challenging behaviour and the new Cambridgeshire Steps training. Read our Network Meeting Update on what Pinpoint has been working on over the last year. Read the report from these meetings about how to improve community health services. 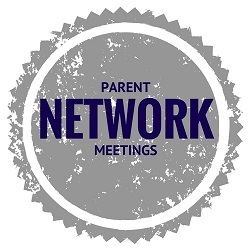 Pinpoint asked parents on how communications with key services could be improved. Read the report for health services – shared with the Health Joint Commissioning Board and Cambridgeshire Community Services NHS Children’s Services Manager. Read the report for social care – shared with Cambridgeshire County Council Head of Disability, Social Care. Read the report about education communications – shared with the SEND Performance & Commissioning Board to cascade to all education services, including schools. This topic was discussed at five meetings across the county. Read a summary report from the cross-county meetings – shared with the Joint Health Commissioning Board and the CPFT. The aim of the workshop was capture the views of parents of children and young peoplw with Autism to shape what services Cambridgeshire County Council will plan for, how and where they should be delivered, and what outcomes are wanted.Read the notes from the workshop . At this meeting parents really welcomed the opportunity to be asked by Service Providers at Cambridgeshire County Council, for their views on what would make the Single Plan work for them. Read more about the session and the feedback.